Australia is on track to eliminate cervical cancer, according to a new report, while here in America we’re still dragging our feet on the HPV vaccine in case it makes teens horny, or whatever. Australia’s national health care system first introduced the vaccination program in 2007 as a cost-free three-dose course for teenage girls. In 2013, the program was expanded to school-age boys, who can carry and transmit the virus, and develop other forms of cancer. 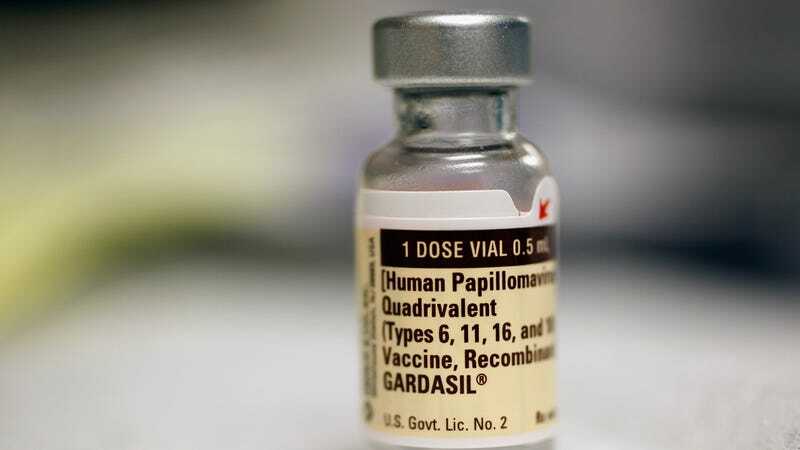 According to the Cancer Council Australia, the vaccination has led to a 77 percent reduction in the types of HPV most responsible for cervical cancer. Australia now has one of the lowest cervical cancer incidence and mortality rates in the world. But it’s not that they just made the vaccine ubiquitous—they did that, along with “screening programs for older women and widespread public support.” The progress is the result of a comprehensive public health initiative with widespread buy-in, and Australia will have to work to maintain the gains. Maybe once America is no longer run by creeps, grifters, and moralizing goons, we can lower our own rates of cervical cancer.